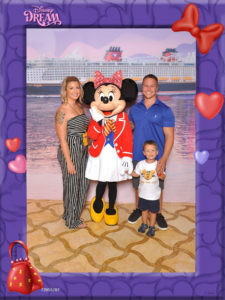 Aidan’s wish was for the Disney Halloween Cruise. 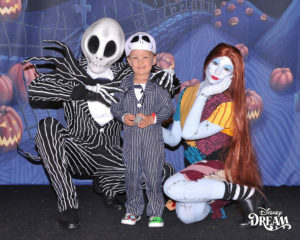 He was determines to meet “Jack” from the “Nightmare before Christmas”. His mom described the trip as nothing less than magical. “It was fantastic! Aidan had an amazing time,” his mom wrote. During the cruise, Aidan got the royal treatment from the ship’s crew. He played in the ship’s Youth Activities spaces and spent time enjoying all the amenities on-board. The real magic happened when Aidan had a private meeting with Jack, Mickey Mouse and friends. With autograph book in hand, he got every Disney character’s signature and plenty of hugs. Aidan is very proud that he could give his family such a memorable, once-in-a-lifetime experience.